ENDE- the transport by trailer experts, has just transported a car by trailer from Lydney, Glos to Grantham, Lincs . 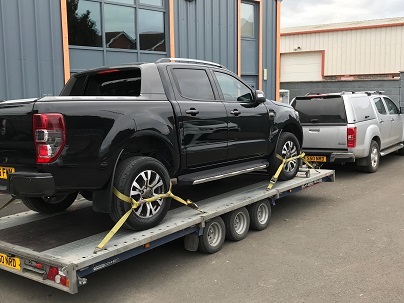 Ende Ltd has just transported a Ford Ranger Wildtrack car by trailer from a dealer from Lydney, Gloucestershire and safely delivered it to another dealer in Grantham, Lincolnshire. So if you too want a car or van weighing less than 2500 kgs transported within the UK, swiftly and safely- and at a competitive rate please contact us via our GET A QUOTE form or email nick@ende.org.uk NOW ! ENDE- the transport by trailer experts, has just transported a car by trailer from Reading, Berks to Cheltenham, Glos . ENDE- the transport by trailer experts, has just transported a car by trailer from Tamworth, Staffordshire to Coleford, Gloucestershire . 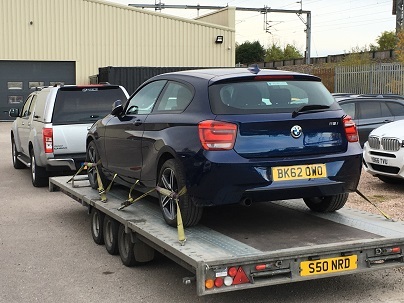 Ende Ltd has just transported a BMW 116i car by trailer from Tamworth, Staffordshire and safely delivered it to Coleford in Gloucestershire. 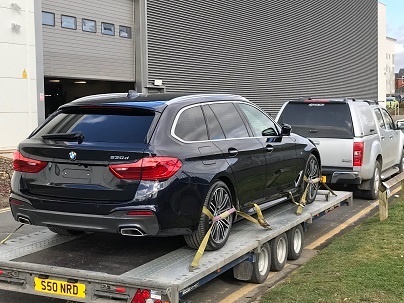 ENDE- the transport by trailer experts, has just transported a car by trailer from Cheltenham, Gloucestershire to Sunderland, Tyne and Wear. 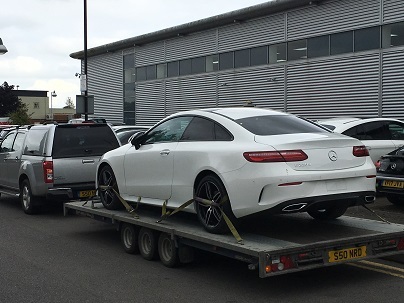 Ende Ltd has just transported a Mercedes Benz E Coupe from a dealer by trailer from Cheltenham, Gloucestershire and safely delivered it to another dealer in Sunderland, Tyne and Wear. 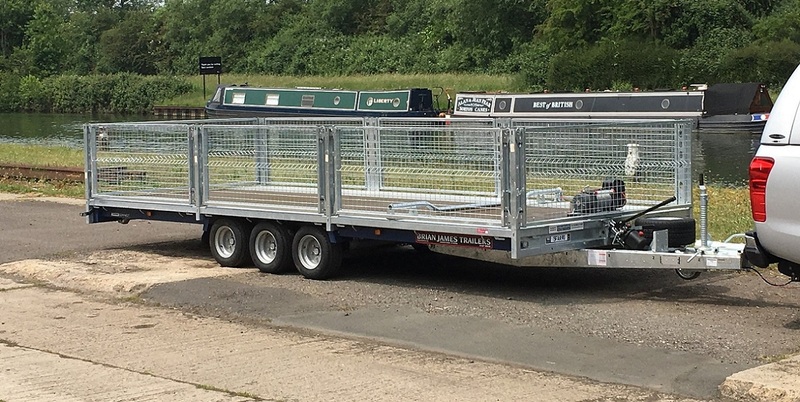 ENDE- the transport by trailer experts, has just transported a car by trailer from Swindon, Wiltshire to Tewkesbury, Gloucestershire . 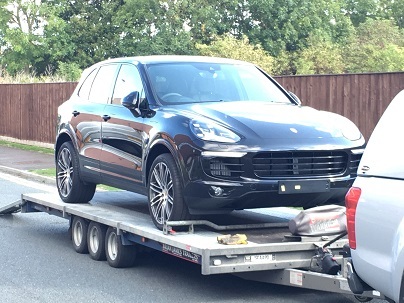 Ende Ltd has just transported a Porsche Cayenne from a dealer by trailer from Swindon, Wiltshire and safely delivered it to another dealer in Tewkesbury, Gloucestershire. ENDE- the transport by trailer experts, has just transported a car by trailer from Corby, Northamptonshire, to Gloucester, Gloucestershire. 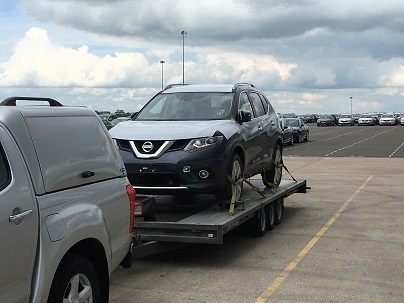 Ende Ltd has just transported a Nissan X-Trail from a dealer by trailer from Corby, Northamptonshire and safely delivered it to another dealer in Gloucester, Gloucestershire. ENDE- the transport by trailer experts, has just transported a car by trailer from Gloucester, Gloucestershire to Bristol, Avon. 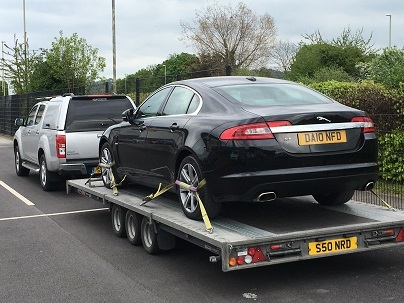 Ende Ltd has just transported a Jaguar XF from a dealer by trailer from Gloucester, Gloucestershire and safely delivered it to another dealer in Bristol, Avon. ENDE has just transported a car by trailer from Pershore, Gloucestershire to Maidstone, Kent. 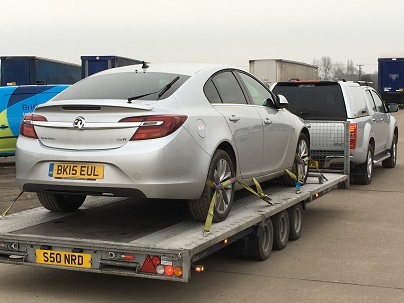 Ende Ltd has just transported a Vauxhall Insignia by trailer from Pershore, Gloucestershire and safely delivered it to Maidstone, Kent. ENDE has just transported a van by trailer from Gloucester, Gloucestershire to Cam, Gloucestershire. 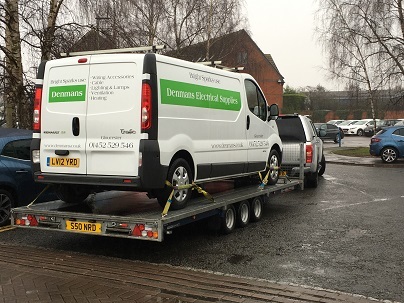 Ende Ltd has just transported a Renault van by trailer from Gloucester, Gloucestershire and safely delivered it to the Manheim Auctions in Cam Gloucestershire. ENDE has just transported a car by trailer from Cheltenham, Gloucestershire to Altrincham, Cheshire. 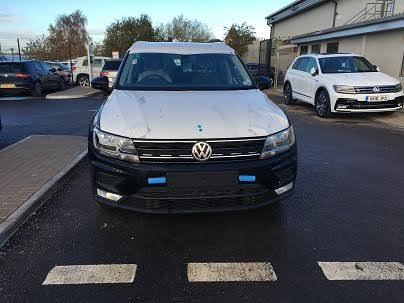 Ende Ltd has just transported a new unregistered VW Tiguan for Inchcape by trailer from Cheltenham, Gloucestershire and safely delivered it to Altrincham, Cheshire.